Weeds, herbs and flowers aside, many distillers are also using a number of high quality city-sourced ingredients to enhance their gin – honey being one. Historically used as a sweetener and of course a central ingredient in the production of mead, this sugary nectar can add a subtle richness and velvety depth of flavour to gin. Battersea-based Dodd’s highly sought-after small batch honey gin is one such example. Here, honey from London’s urban beekeepers, The London Honey Company, is used to add a silky smooth texture and irresistible sweet quality to the gin. With the number of beekeepers in London and beyond on the rise, expect to see more of the sweet stuff infusing gins up and down the country in the near future. London’s Hackney Wick may have undergone a serious redevelopment in recent years – craft beer bars and independent eateries now line once-forgotten canal paths – but despite these changes, it’s not usually the first place that springs to mind when looking to source ingredients. For James Law, co-founder of hand-crafted botanical drinks, Longflint Drinks Co., it was a case of noticing what was on his doorstep. “I was working at CRATE Brewery in Hackney Wick before I set up Longflint. My route to work took me from Tottenham, along the tow-paths and canals of East London and throughout the seasons you’d see all sorts of wonderful herbs and flowers growing, that everyone would pass and not take too much notice of. I used to gather berries with my mum at Cricket Hill Woods in Finchampstead, so I was always interested in foraging and picking wild food, and have been on a number of courses over the years.” In fact, James regularly teams up with forager James Grant, of Foraged School, to explore the variety of botanicals on offer in East London and to host a number of foraging courses. Seb and Jessie explore Manchester with a local forager to source their dandelion and burdock. “When we dig up the plants we also keep their roots”, says Seb. “The roots contain a lot of flavour – when they’re distilled into the gin they offer earthy notes and a depth that we couldn’t find in any other botanical.” In fact, it’s these hardy roots – a fitting epitome of Manchester itself – that Jessie credits for the success of Manchester Gin, “We believe that using dandelion and burdock root has elevated our gin from great to award-winning. We’ve been fortunate enough to have won ‘double gold’ at the San Francisco World Spirits Competition 2018, and ‘gold’ at the International Wine & Spirit Competition 2017.” Not bad for a weed that would typically otherwise go unnoticed! Beyond the walkways and canal paths of some of the UK’s biggest cities, distillers in London, Cambridge and Oxford have been turning to their cities’ botanical gardens for a touch of ginspiration. In Cambridge, The Cambridge Distillery teamed up with the city’s famous Botanic Garden to create their Curator’s Gin. This small batch release (only 600 bottles) features botanicals such as rosemary and lavender, which the team cycled back to the distillery within minutes of sourcing to retain their freshness. The result is a deliciously herbaceous gin, which could only come from being given access to a such a verdant treasure trove. In Oxford, The Oxford Artisan Distillery has been working with the city’s Botanic Gardens – the oldest botanic gardens in the UK, dating back to 1621 – to create their Physic Gin. A blend of 25 botanicals are used, from artichoke leaf to absinthe wormwood – some of which come from the original catalogue of plants planted in 1648! Botanicals are first macerated, before being added to the base spirit, with the majority left in the pot during the distillation. A bay leaf distillate is made on site, which added after the main distillation. Similarly, in London, The London Distillery has teamed up with Kew Gardens to produce the much-loved Kew Organic Gin, featuring seasonal flowers from the UNESCO Royal Botanic Gardens. Boasting floral packaging as beautiful as the gin itself, this quintessentially London gin is an ode to these historic gardens, as well as the flowers: the botanicals are painstakingly separated into four separate groups before distillation, and added sequentially, to help the gin assume its fantastically floral profile. Indeed, with people increasingly taking more of an interest in the locality and sustainability of what they consume, and of course the onset of Brexit – and with it the potential for imported botanicals to only increase in price – it’s in the interest of gin producers to make the most of the botanicals and ingredients readily available on their doorsteps, whether this means teaming up with artisan producers, or foraging the pathways and parks of built-up spaces. 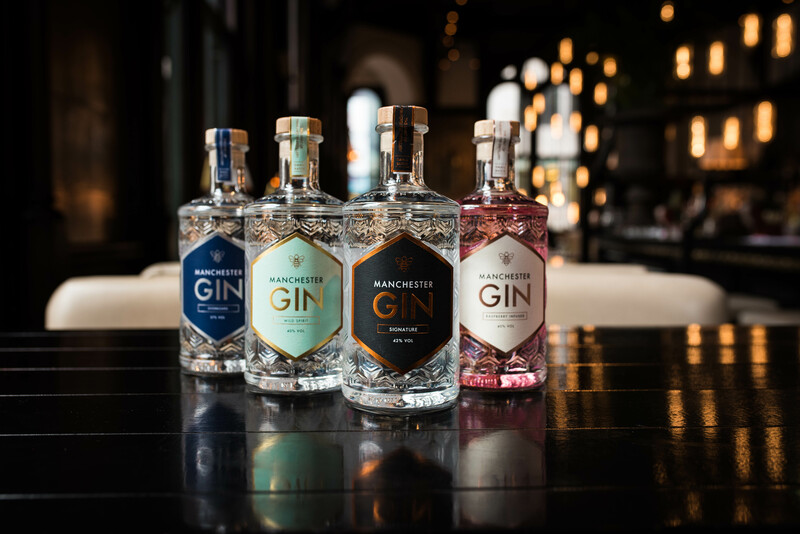 The demand for exciting gin is not going anytime soon – so only time will tell what curious creations will be available for us to imbibe in the future. Watch this (urban) space!